Here's where to watch every episode of A League of Their Own season 4. Mouseover or tap an episode to see where to stream it. Click or tap the play icon to stream it on the best available service. Andy Murray and Jason Manford Oct 7, 2011 Ref Corden, captains Redknapp and Flintoff, and regulars Bishop and Thompson are back for a fourth season. Tennis ace Andy Murray and comedian Jason Manford join in the fun. Lee Mack, Gabby Logan and Frank Lampard Oct 14, 2011 Corden and the gang are joined by a gamut of guest stars. Comedian Lee Mack fills in for Flintoff, before appearances from footie star Frank Lampard and presenter Gabby Logan. Rory McIlroy and Jack Whitehall Oct 21, 2011 Corden referees as golfing champ and Major winner Rory McIlroy joins the Reds, and comedian Jack Whitehall is enlisted by the Blues. London 2012 hopeful Jo Jackson pops by too. Phill Jupitus and Peter Crouch Oct 28, 2011 Comic Phill Jupitus and Stoke City star Peter Crouch are up for a bit of banter this week. Plus, Team GB's Tom Daley oversees a diving challenge between Redknapp and Bishop. Jimmy Carr and James Anderson Nov 4, 2011 England cricketer James Anderson and comic Jimmy Carr join in the fun in a must-see fix that sees Corden, Bishop and Thompson limber up for a rhythmic gymnastics contest. David Walliams and Gary Neville Nov 11, 2011 Former Man Utd star Gary Neville and comedian David Walliams throw themselves into the thick of the action, from toe-wrestling to a spot of eco-friendly go-kart racing. Jimmy Carr and Mark Webber Nov 18, 2011 Aussie Mark Webber and comic Jimmy Carr join in the fun in a must-see fix that sees the whole cast perform a weightlifting contest. End of Year Show: Stacey Solomon and Gabby Logan Dec 16, 2011 The popular panel show hangs up its boots after another successful season, finishing with an end of the year special. Unseen Jan 6, 2012 The popular sports panel show runs into extra time. 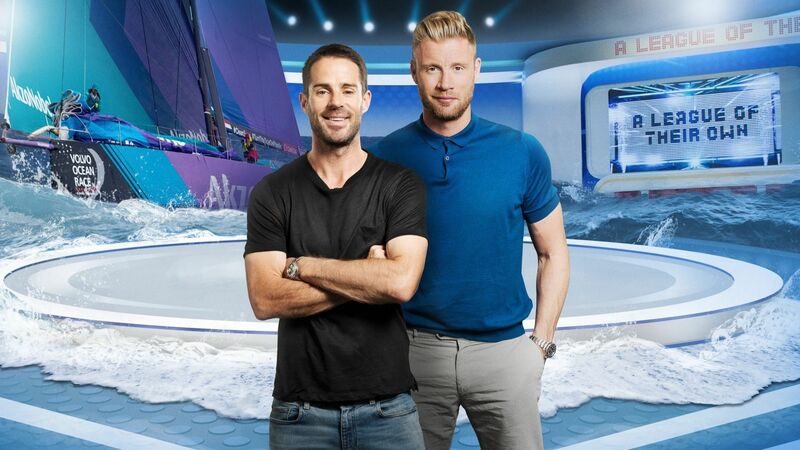 Fill your boots with puns and pratfalls aplenty, courtesy of host with the most Corden, Redknapp, Flintoff and co.
Best Bits of Series 4 Jan 13, 2012 Highlights from series 4 of the popular Sky 1 sports panel show..